You can avoid expensive replacements repairs with regular residential boiler maintenance. Our maintenance services include cleaning, repair, and support for all type of boilers including biomass, gas, and coal. Our services will help to keep your boiler running at maximum capacity. Our vision is to reduce costs and maintain safety in homes for our clients. We provide emergency boiler repair services in Washington, PA. Whatever time you need our services, we are ready to deploy our troops of experienced technicians to your location. There is nothing worse than waking up in a winter morning to a dysfunctional boiler. Our experienced technicians offer residential boiler maintenance and repair services around the clock. We can handle all type of boiler issues so drop us a line now for a free quotation. You can improve the lifespan of your residential boiler in PA through regular preventive maintenance. Please take advantage of our maintenance plans to avoid the costs of replacing parts and keep your home safe and warm. Broken diaphragms and airlocks- With this problem, you will have no heat or hot water flowing in your home. Our technicians can take care of this problem by replacing broken valves, airlocks or the diaphragms. Leaking gas/water- This problem has many causes including broken pump seals and pressure valves. Never attempt to fix a gas leak on your own – it is a risky undertaking that requires skilled experts. Our experts will diagnose the exact cause of the leakage and fix the problem. Call as soon as you think you have a gas leak or water leak from your boiler. Your safety depends on it. Banging or rumbling noises: Is your residential boiler in PA making rumbling noises? Noisy boilers could be as a result of too little water pressure or air in the system. Our technicians will know what the problem is based on the type of noise your boiler is making. Dropping boiler pressure: Low boiler pressure will impair the proper functioning of your central heating system. The pressure gauge reading should not be below 1. If it is, then your pressure valves might need replacing. Thermostat problems: If your thermostat is not working accurately, your boiler system might malfunction too. Our technicians can check your thermostat to make sure that is everything is working perfectly. Sludge build up: You will notice this by a kettling sound when your boiler is working when sludge deposits inside the boiler interfere with the flow of water in the heat exchanger. The presence of impurities overheats the water causing the kettling sounds. Our boiler maintenance services in Washington PA includes flushing sludge deposits your boiler to boost its functioning. Boiler switches itself off: Causes include a faulty thermostat or closed valves. Our technicians can help find the exact cause and restore your boiler system to a proper functioning condition. For a properly functioning residential Boiler in PA, you need to work with boiler maintenance technicians you can trust. We have earned that credibility through a hundred years of serving Washington PA residents. We are known for promptness, excellent boiler services, and competitive pricing. We are equipped to handle all residential boiler issues and prevent damages. You don’t have to pay a king’s ransom for residential boiler services in Washington PA. The best thing about working with us is that you get to save money and you also get a prompt response and excellent boiler repair and maintenance. 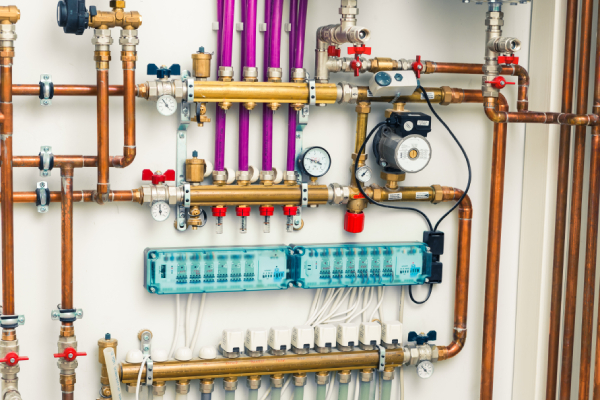 Emergency Repairs, Steam Boilers, Water Boilers, Hydronic Heating Systems, Gas Fired, Boilers, Oil Fired Boilers, Electric Boilers, Baseboard Installations, Boiler Controls, Radiant Heating Systems, and Radiant Snowmelt Systems.